Many people are surprised to learn that a large percentage of dog bites occur because humans, especially children, treat the animal inappropriately, ignore the dog’s signals and efforts to make the behavior stop, and push the dog until it feels it has no other option to make the treatment stop other than biting the human. 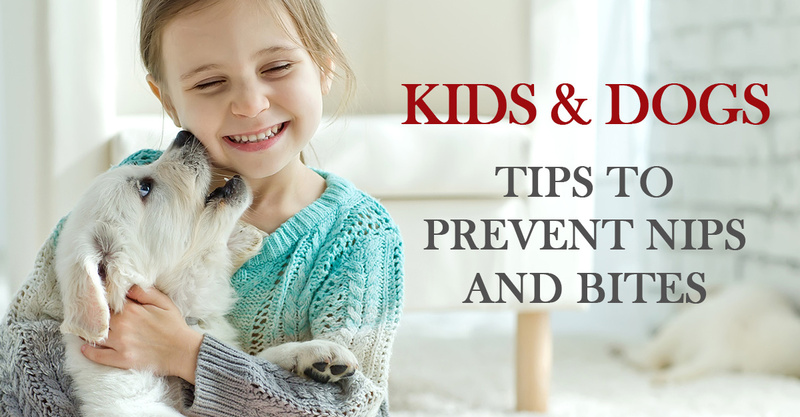 Avoiding tragic situations in which children can be injured and dogs are unnecessarily euthanized is not difficult; it involves common sense and educating your children about how to behave around their furry companions. 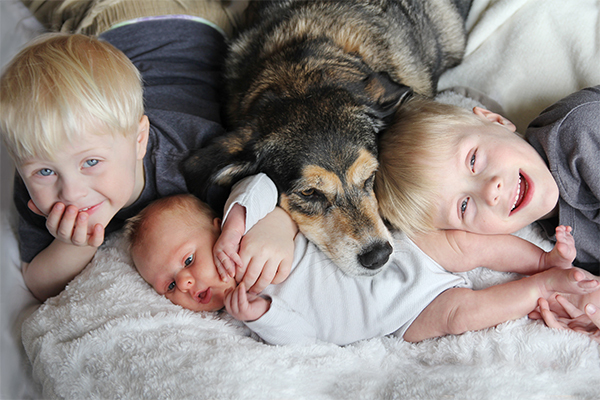 What can I do to help my kids and dogs be happy and safe in my household? How you pet a dog can increase or decrease their anxiety. Pet a dog under the chin, or on the neck and upper back in the direction of the fur. 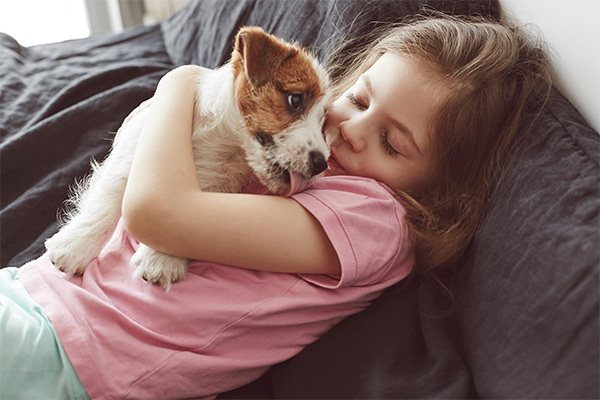 If your dog enjoys an activity (fetch, walks, hide and seek, etc), encourage your child to play with the dog but be sure to supervise their interaction. Kids will make mistakes, and accidents can happen in a split second. 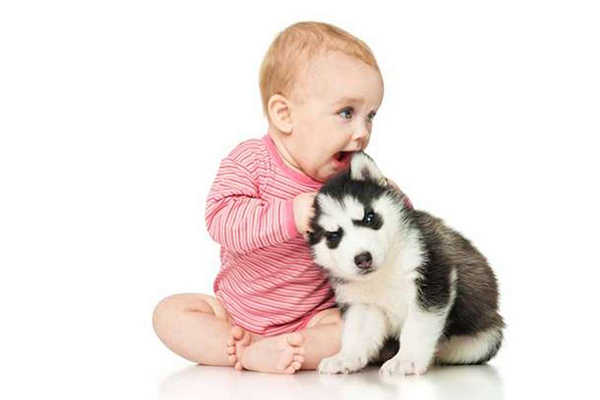 Babies are too young to teach about appropriate behavior around dogs. Their curiosity can result in them crawling after the dog incessantly, grabbing/hurting the dog, and startling a sleeping dog. 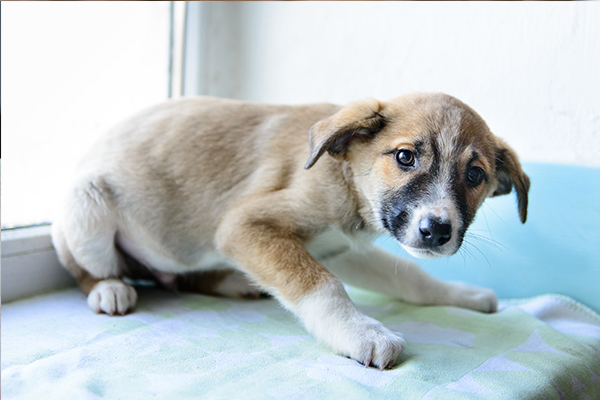 It is your responsibility to keep them separated, using such things as crates, exercise pens, a fenced yard, baby gates, or a separate room. 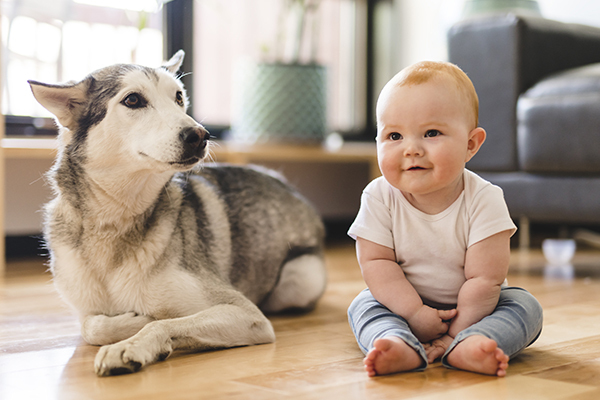 Encourage positive interactions when you are with both the dog and the infant and are able to supervise their time together. Supervise (directly) children and dogs in the same room at all times; do not leave children under 9 alone with a dog. Do not tolerate inappropriate treatment of the dog by any child or adult. You discipline children for running into the street without looking because you know the severity of the possible consequence. Mistreatment of a dog is no different. 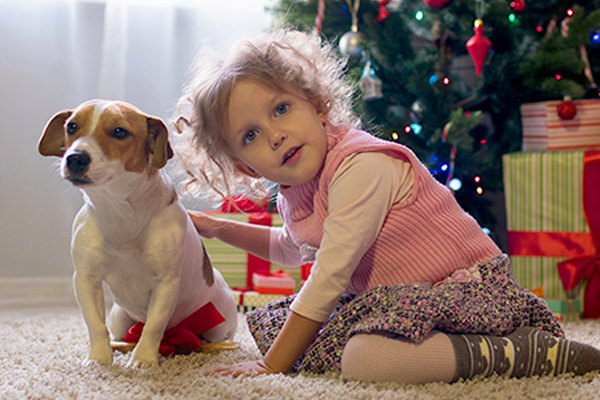 Teach children how to recognize when a dog appears anxious, stressed or fearful. Explain to them that when they see this behavior they should not approach a dog, or should stop petting the dog and back away. As a parent, you will need to watch your dog and act if you see body language showing you the dog is not comfortable with the current situation. 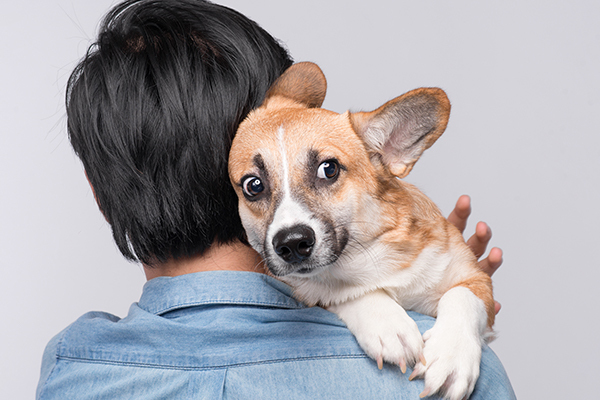 Body language that shows a dog is stressed, anxious, or afraid. Some of the below images are seen as “cute” but the body language and signals these pups are displaying is anything but cute. Wide eyes and ears back, this dog is clearly unsure and may be scared. Licking and wide eyes is a clear sign the dog doesn’t want to be held and could lead to a bite to get out of the situation. 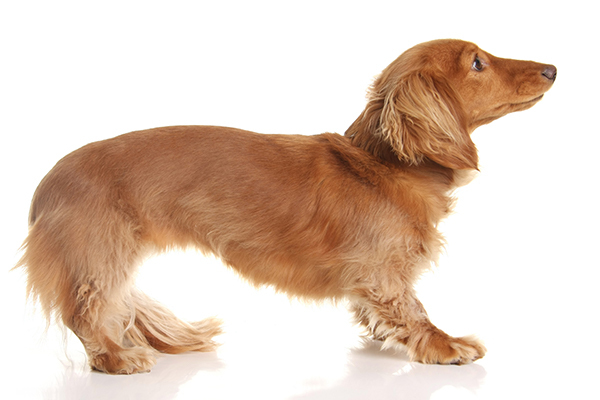 When a dog puts their tail between their legs it is a sign of fear and they can lash out to defend themselves. A yawn may indicate anticipation or stress. 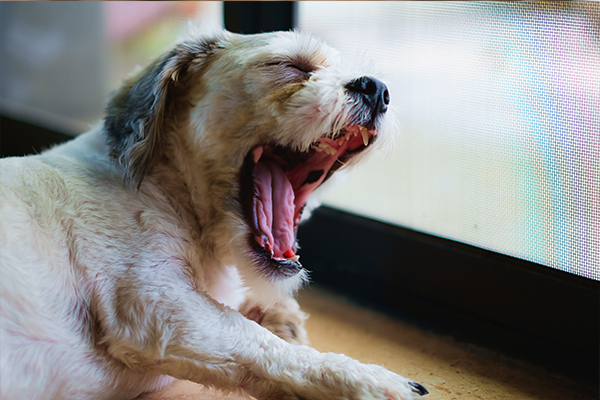 Your dog may yawn repeatedly when he’s nervous. They will also yawn to help deal with excitement. 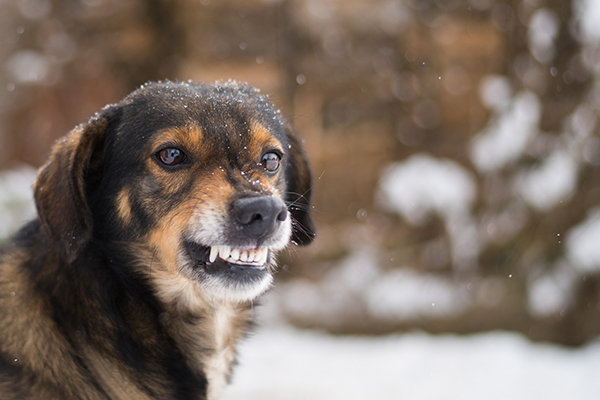 Dogs shiver from being cold but also due to anxiety or fear. 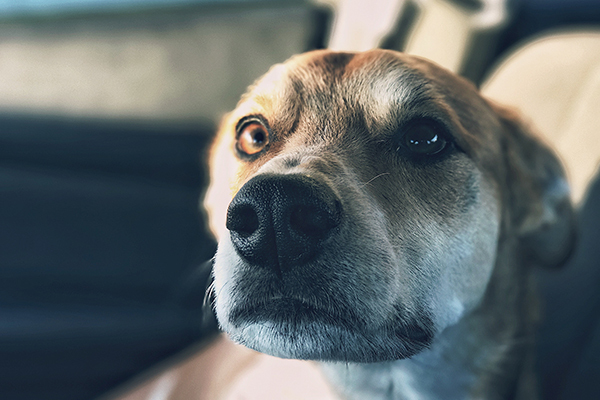 Knowing your dog is key to avoiding a dog bite. Hard eyes, hard stare are a threat. Similar to whale eye this is a warning sign to remove the dog from the situation. 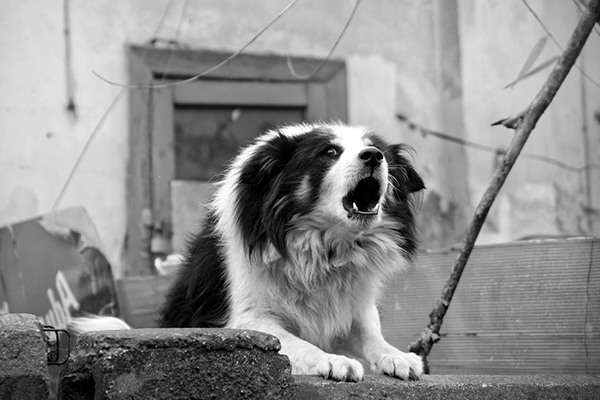 If your dog is barking at children it is a sign of fear. 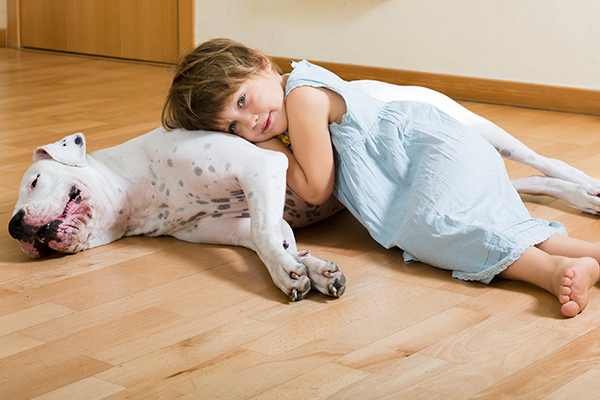 Training is recommended to help desensitize the dog of children. Growling is a warning that the dog is about to snap. At first glance, this seems innocent enough. However, the dog is displaying possessive behavior of the baby. When the lips of a dog are pushed back, think fear. It doesn’t mean they will bite but a sign they do not feel safe. Ears back, wide eyes, body pulled away from the baby. This is a clear sign the dog isn’t comfortable. Cute right? What could go wrong? The dog looking away is a clear sign they are not comfortable and feels insecure. Praise your child when you see them interacting in appropriate ways, or leaving the dog alone when the dog is showing they don’t want to interact. Know that our dog companions have a different language than us. We may think the behavior is “cute” but the dog is really displaying undesirable behavior that can lead to a real problem. Having a family dog can create wonderful memories that will last a lifetime. Dogs provide emotional support, unconditional love, and loads of fun when they are treated with respect and love. Following these simple guidelines will assure that you have a happy and safe household for all pets and kids! If you would like help learning dog body language or assistance with other training issues, private sessions are available in your home or at the Whole Dog University. Call us at (513) 267-5390 to schedule a session!